﻿ Kleurplaat franse mode 18e eeuw - Afb 9751. PD 7 - This image (or other media file) is in the public domain because its copyright has expired. 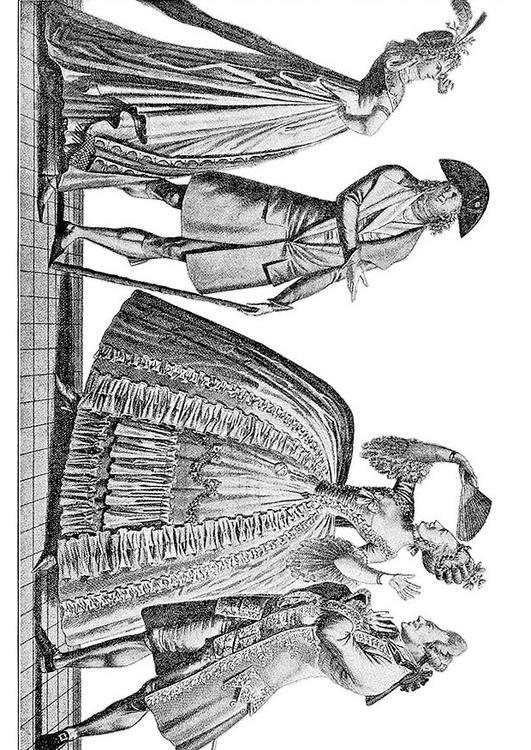 A 1793 contrast between French fashions of 1793 and ca. 1778, showing the large style changes which had occurred in just 15 years. 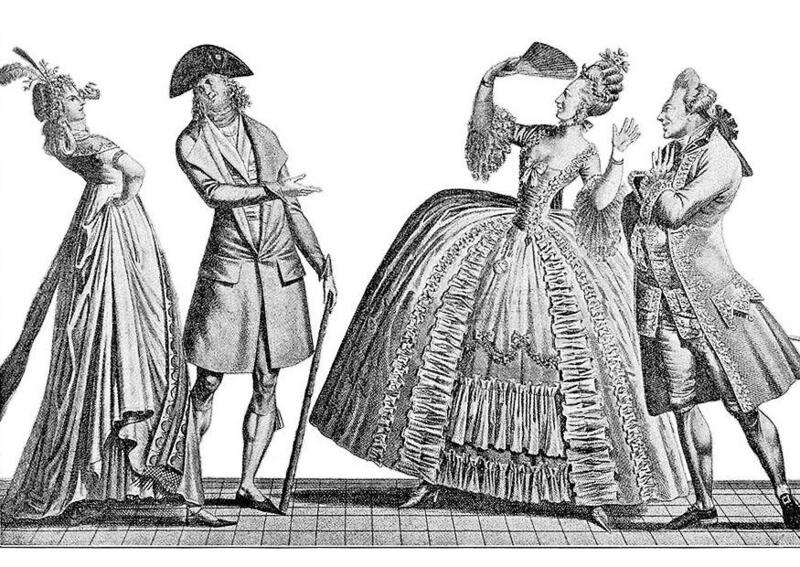 The couple on the left, dressed in bleeding-edge up-to-the moment styles of 1793, is saying "AH! QUELLE ANTIQUIT�?!!! "; while the couple on the right, dressed in formal court styles of ca. 1778, is exclaiming "OH! QUELLE FOLLIE QUE LA NOUVEAUT�?....."